Between the high mountains of the Ecrins National Park and the shores of the most famous lake in the Southern Alps, the Chorges commune has remarkable natural sites such as baie Saint-Michel and Chanteloube as well as the Natura 2000 site "Piolit-Pic de Chabrières ". 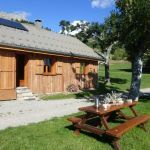 This charming mountain chalet, 15 minutes from the village of Chorges and its shops, has been restored in the Haut-Alpine tradition; it offers all the well being necessary for the stay of 8 people. The entrance is on the Ground Floor. Fully equipped kitchen with dishwasher, fridge-freezer, living room, sitting area with TV. 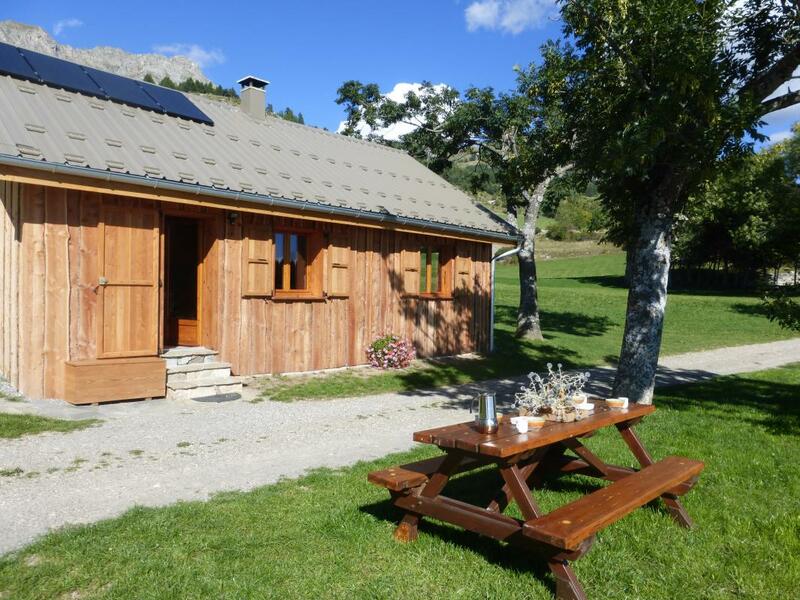 2 bedrooms (2 beds 160x200 cm), upstairs is a mezzanine with relaxation area and sleeps 4 (2 single beds and a convertible), bathroom, toilet, washing machine. Sheets provided, baby equipment on request, local material. Electricity and solar heating, wood stove. 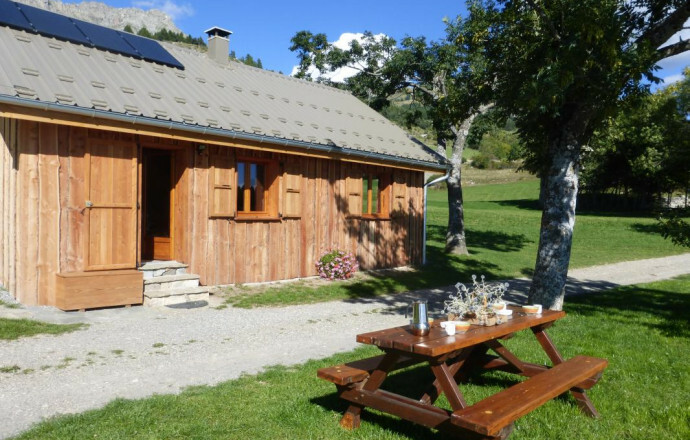 Surrounded by nature and tranquility, with a sumptuous view of the valley, a large wooden terrace allows you to enjoy all these benefits. The slopes of these surrounding mountains are delightful discoveries and moments of escape and adventure for the whole family.